PET/CT is a vital diagnostic imaging tool and is especially effective in revealing conditions such as cancer and brain disorders. 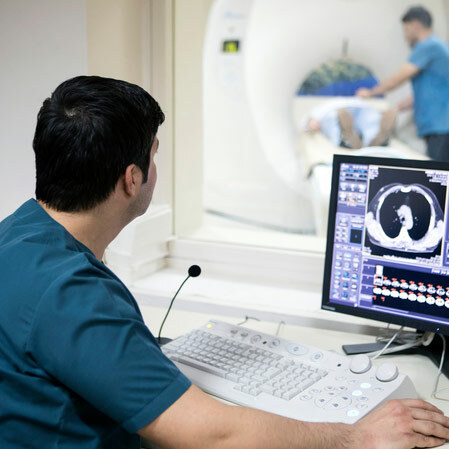 When it comes to Medicare coverage, there are a number of misconceptions about PET/CT reimbursements. In the majority of cases, PET/CT imaging is covered when clinically necessary, either as an initial treatment strategy or a subsequent treatment strategy. Few exceptions apply to specific breast and cervical cancer, and melanoma diagnoses. The initial treatment of prostate cancer is the only non-covered event. Below is a consolidated reference chart that details PET/CT insurance reimbursement for specific conditions. Cervical: Nationally non-covered for the diagnosis of cervical cancer related to initial anti-tumor treatment strategy. All other indications for initial anti-tumor treatment strategy for cervical cancer are nationally covered. Breast: Nationally non-covered for initial diagnosis and/or initial staging of axillary lymph nodes. Nationally covered for initial staging of metastatic disease. All other indications for initial anti-tumor treatment strategy for breast cancer are nationally covered. Melanoma: Non-covered for initial staging of regional lymph nodes. All other indications for initial anti-tumor treatment strategy for melanoma are nationally covered. Prostate cancer (dx 185.0) is not covered for initial treatment strategy. Therefore, all PI modifiers for 185.0 would be denied and PS modifiers would follow the same frequency as other cancer diagnosis codes.